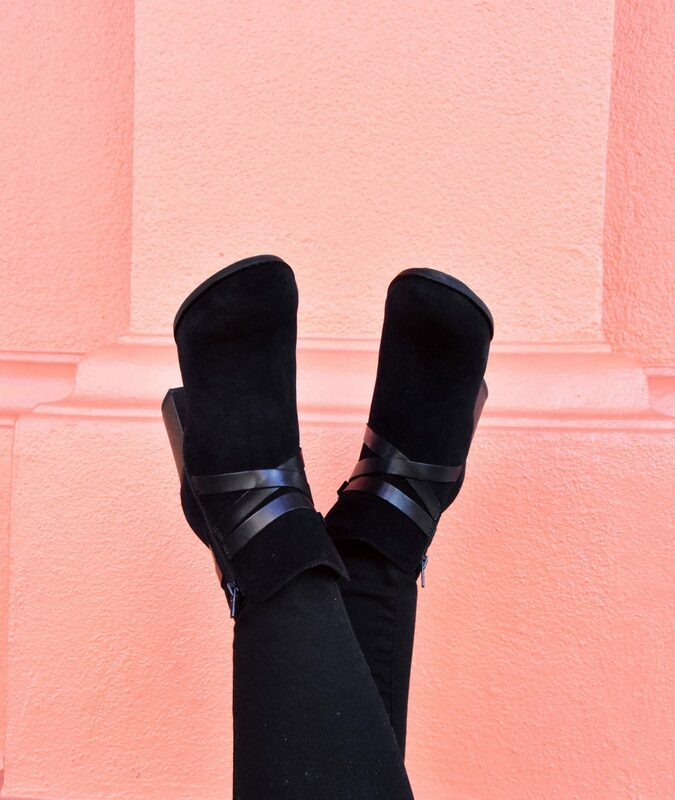 These booties were made for walking… and styling! Sharing how I love to style my Clarks booties. When I say the word “Clarks” what do you think of? A few years ago you may have envisioned comfort shoes that your mama loved to rock. But these days Clarks has a brand new style- bringing in pieces that are right on trend (like these strappy booties!) all without sacrificing their signature comfort element! I’ve never actually owned black booties before (I know, who am I?!) 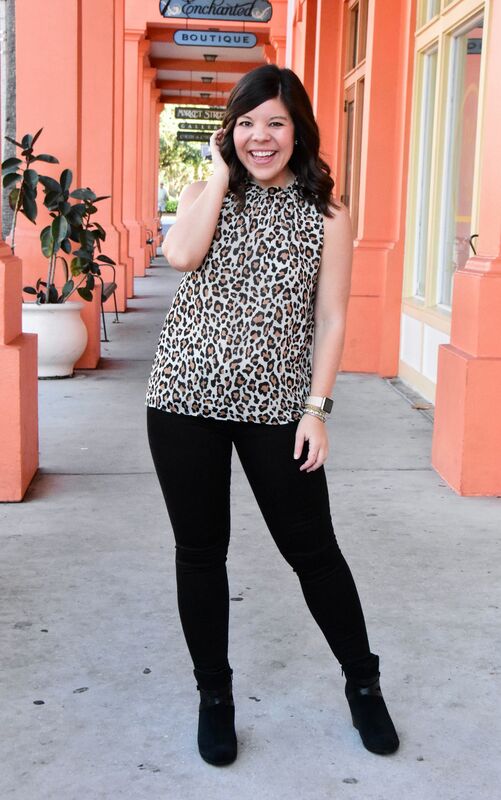 so when I decided my closet needed a pair I knew I could turn to Clarks to bring me an amazing pair that would keep me comfy all day while also allowing me to be on trend! One of my favorite things about Clarks too is that they are sold on Zappos– which is one of the best sites out there for selection, quality, & shipping! I placed my order on Monday and it arrived on Tuesday- I mean, that’s pretty fabulous! Anytime I’ve ever called about an issue or question either, their customer service team has always been top notch! 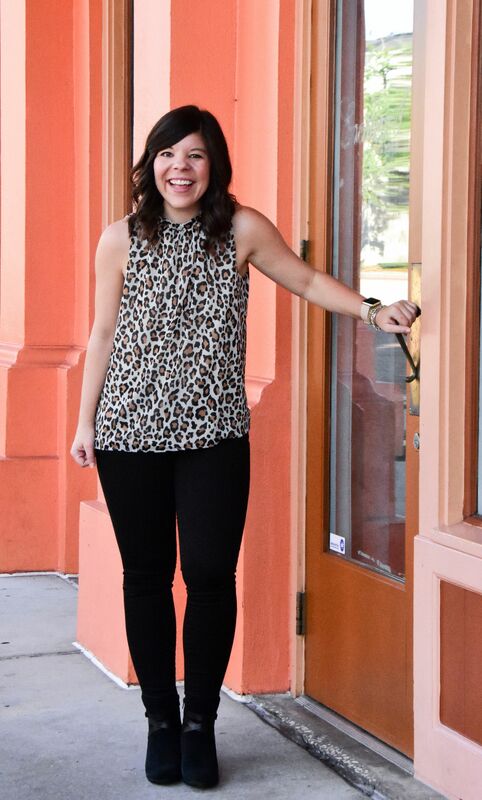 If you need a great place to shop Zappos has you covered. Finally, you may have noticed that I’m starting to break out some skin again- haha! 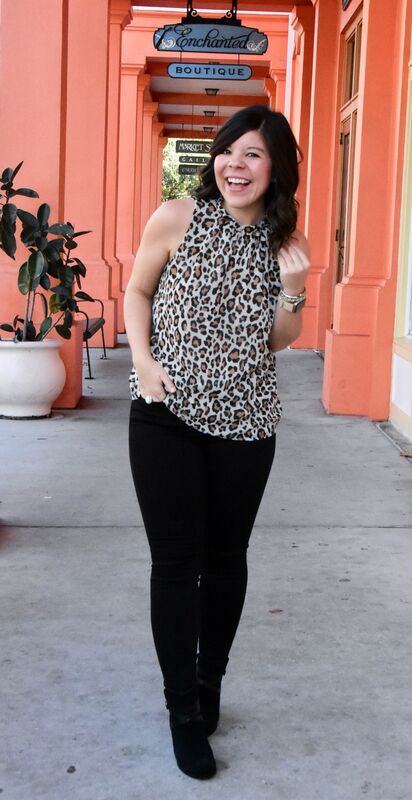 Florida has been SO warm lately, and while we have a few chilly fronts coming though, Spring is definitely on it’s way and my wardrobe is soooo ready! Y’all know I love spring and summer through & through so this is fine by me 🙂 I’ve got all sorts of color and fun prints headed your way soon! So cute dear. 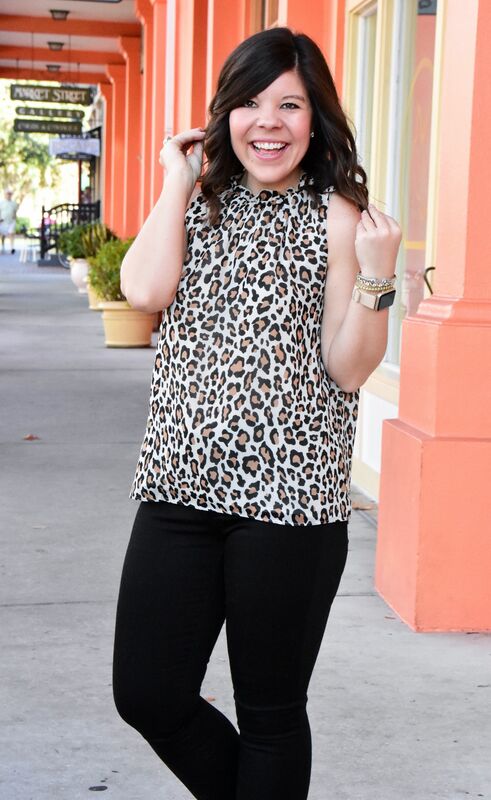 Love that you paired it with the leopard print top. These booties are adorable, I would have never guessed they were Clarks!! 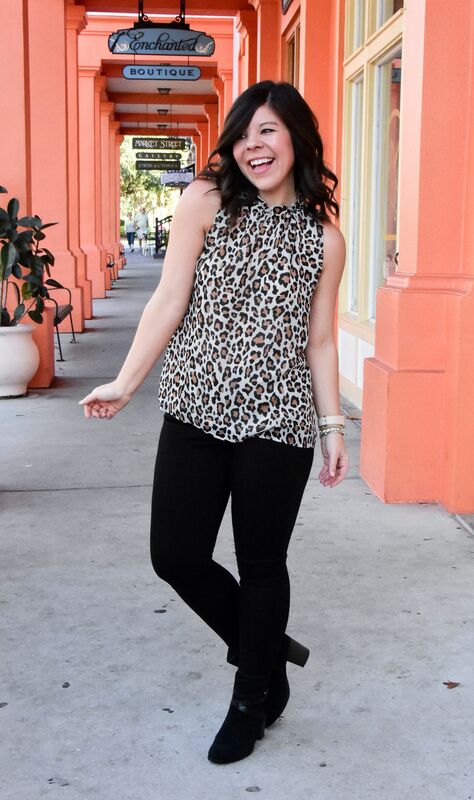 Love this edgy look on you, this top is so pretty!! Love these adorable booties! Hope you have a nice weekend! Thanks so much Jessica! Hope you have a great weekend too!